If you follow me, Kristi, you’ve likely seen my avatar change every day this week. 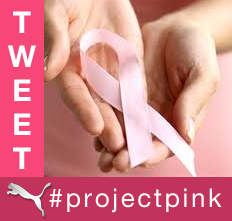 What started out as a bit of scoffery at the new Gap logo and that ensuing brand debacle, turned into a personal mission to get people to add the hashtag #projectpink to their tweets. I have changed my avatar and will not change it back to normal until we have taken every dollar Puma will donate, to give to the winning charity. 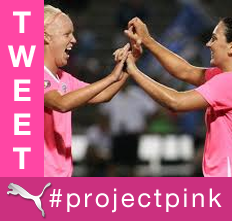 Though this may be about getting Puma to be top-of-mind, or for other marketing reasons, the simple fact is the donation is real, all WE have to do is send tweets with the hashtag #projectpink in them (it doesn’t get easier than that!) 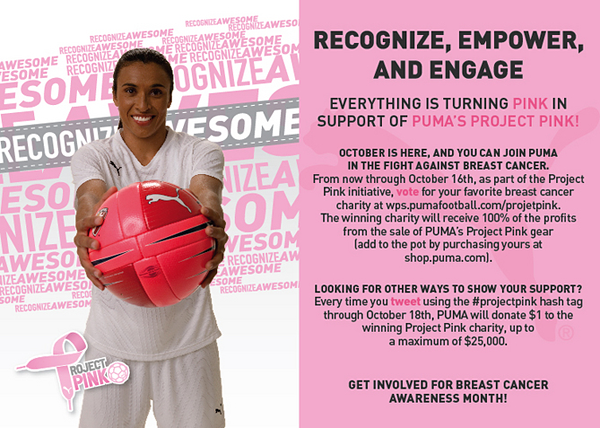 or buy certain Puma merchandise from shop.puma.com and if the money goes to help a person who is sick and in need, or is used to do some more valuable research to find ways to prevent, cure, put into remission or eradicate cancer from a person’s body, then this tiny effort on my behalf – and yours – is well worth it. We have only six days left, and from tracking being done by @michielb we think that as of 5 hours ago we have only seen 4554 tweets. Visually he says, that looks like the image here – and is not close enough to 25k tweets as we need to get the maximum donation. 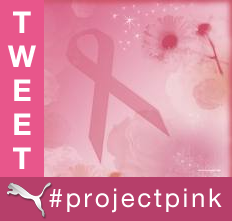 Please add #projectpink to your tweets this week. The cutoff is next Monday, which is my birthday and this would be the best birthday gift in the world if I could get people to participate in earning the full donation. I have some avatars below that can be used for your own – just add your photo to it in a paint program – or you can fashion something yourself to help spread the word. It’s a small thing – we’re all tweeting anyway. When is the last time our endless babbling, linking and oversharing been worth $1 per tweet to someone??? 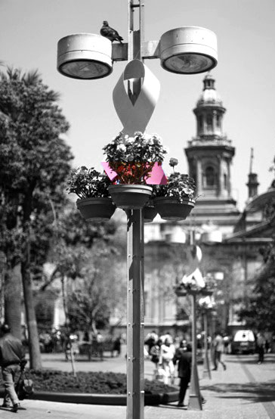 I have never been affected by breast cancer myself… yet. I consider myself lucky not to have had this issue, but know people who have, especially new dear friends on Twitter. I have had several people tell me they lost someone, or nearly lost someone to this disease, and they appreciated my efforts to try to raise this money. You never know whose life you will touch by tweeting this out, talking about it, referring people to the campaign. Maybe you’ll make a difference on many levels, all for the price of a tweet. TAKE ONE, PASS IT ON!